First off a tribute to Everton’s Dixie Dean the holder of the all time English top flight scoring record. 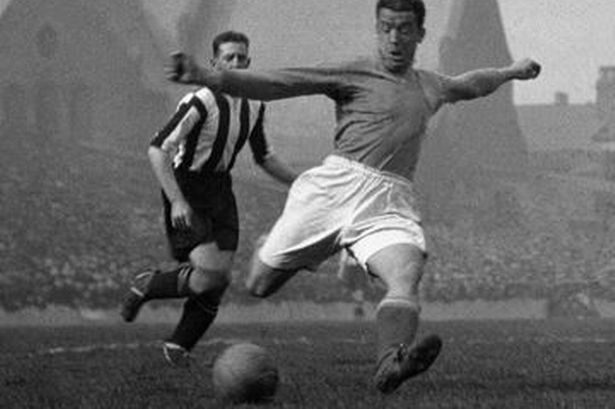 Dixie Dean remained at Goodison until the 1937/38 season having scored an amazing 349 goals in 399 League appearances. 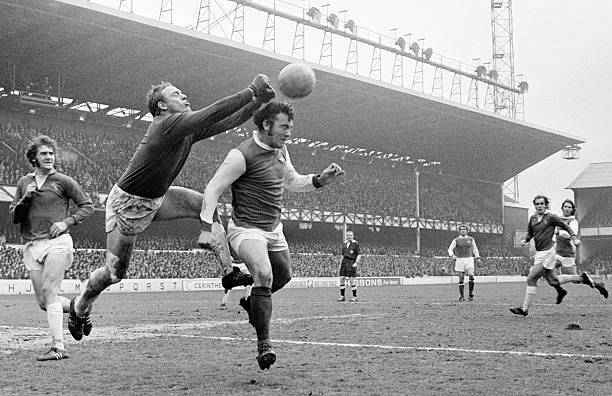 He died on 1st March 1980 at Goodison while attending Everton’s match against Liverpool. Here are some more memorable moments in our games against Everton. Rooney’s first league goal was certainly one to remember. The spectacular long-range strike ended Arsenal’s 30-game unbeaten run in the league and confirmed the 16-year-old was one for the future. The Gunners picked up their first Premier League trophy after demolishing Everton with two games to spare. 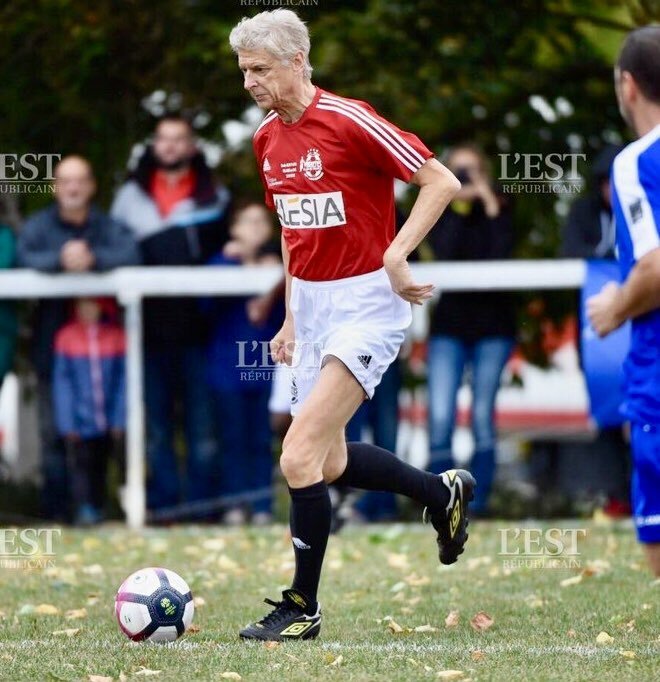 A Slaven Bilic own goal got the ball rolling for Arsenal, and after a Marc Overmars double, captain Adams smashed home the fourth in emphatic style. The game and league title was already secured when Adams raced forward in the 89th minute, but it was a seminal moment for the club captain in front of the Highbury faithful. Everton’s first and only Premier League win at Arsenal came more than 22 years ago. 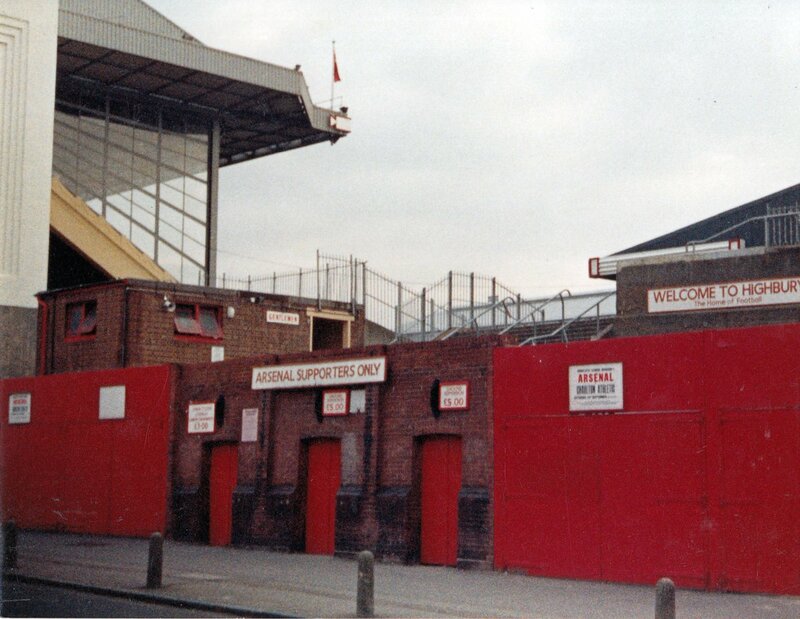 Ian Wright had set the Gunners on their way to victory, but Graham Stuart levelled matters before Andrei Kanchelskis netted an 83rd-minute winner. Dennis Bergkamp put on a magical display as the Gunners demolished Everton. The Dutchman assisted the first two for Robert Pires and Robin van Persie, while he got on the scoresheet himself with Arsenal’s sixth. It remains their biggest Premier League victory to date, having matched that scoreline one year later against Middlesbrough. Van Persie is no stranger to scoring spectacular volleys. Efforts against Charlton Athletic, Liverpool and Aston Villa (the latter for Man Utd) come to mind, while this first-time strike against the Toffees sealed all three points for the Gunners following Alex Song’s delightful ball over the top. One of the more bizarre moments in the Premier League’s history occurred when an angry Everton fan ran onto the Highbury pitch and offered his shirt in exchange for Alex Nyarko’s royal blue jersey. Nyarko asked to be substituted immediately and went on to quit football, though the midfielder reversed his decision a few days later and joined Monaco on loan. Everton are one of only 6 clubs who have remained in the Premier League since its inception in 1992/93 – the others being Arsenal, Chelsea, Liverpool, Manchester United and Tottenham. After losing our opening 2 games of the season we have now won 4 on the trot, 3 EPL and 1 Europa League. Overall we scored an average of 2.33 goals per game, however our defence still leaves a lot to be desired as we have not kept a clean sheet this season and our goals against average is a poor 1.83. Our EPL home record against Everton is very positive; in fact (without checking) it may be our best against any EPL club. Only staunch Everton supporters would put money on Arsenal getting anything other than 3 points on Sunday. It would appear that Lucas Torreira and Henrikh Mkhitaryan are both doubts for the match. This entry was posted on Sunday, September 23rd, 2018 at 6:58 am and is filed under Uncategorized. You can follow any responses to this entry through the RSS 2.0 feed. You can leave a response, or trackback from your own site. This includes the brave sir robin goal and Big Tone’s that are mentioned in GN5’s excellent post. Rocky’s post is still clocking up the views. Up to 22,000 now! Certainly some of my most joyous attendances have been the Arse v the Toffeemen. On another topic, Santi says AW’s teams “lacked belief” rather than “(sat) in a comfort zone”. and if I had my prorities right I would have gone to the game rather than making the BIGGEST mistake of my life and marrying an abomination. Believe me Everton wont roll over.Cardiff were crushed without trace by both Chelsea and Everton. The gunners leaked 2 goals against Cardiff. What more can you say. Tome the gunners lack pace in the attack. Imho,too many long passes.So don’t be surprised the gunners lose or draw. Of course I want Arsenal to win. John McGinn scored THE goal of the day. Brings back so many happy memories. Standing on the Southbank with a homemade stool, (too big for the barrier, eventually). Thanks GN5, we have certainly enjoyed playing the toffees in the past. I see today’s game as a real test of mission Unai. So far, the greatest improvement has come from the new players, I hope the established stars can show they’re all buying into a more hard working regime. It was the Vines equivalent of a milk crate to stand on as a kid. Two 18 inch lengths of four by two with a floor board nailed across the top. Get there early enough to stand directly behind a stanchion and you were sorted. did we have a shot on target yet? Cech’s foot work, so much better, the rest of his game is as wold class as ever. Chas, man, my eyes. Please remove that thing for everyone’s Sunday viewing. First chance by everton was offside before the pass was even made. Don’t like ramsey, xhaka and Ozil in the side. Only said this once before. Laca should have pulled the string sooner 2X. Cech making very good positional saves and like him coming for ball on in swinging corners. Holding looks good so far. Still in game and much to be played for. Emery will make some changes at the half and we should all see a goal coming. I’m not sure the lino realises that Rambo touches the ball as he looks like he’s just falling over plus his view is partially obscured by the enormous galoot of an Everton defender. Clean sheet never in doubt! Is that four straight league wins? Can someone explain what’s going on? When Ozil plays the ball there are two oppos in front of Ramsay so why is the Taff supposed to be off side? It’s Auba that is offside when Ramsey back heels the ball forward to him. Back heeling the ball forward – deffo confusing! Guess who has got nothing to do tonight? Still the red wine is good. Terrier WAS the one who made it all work and is the 8/9. 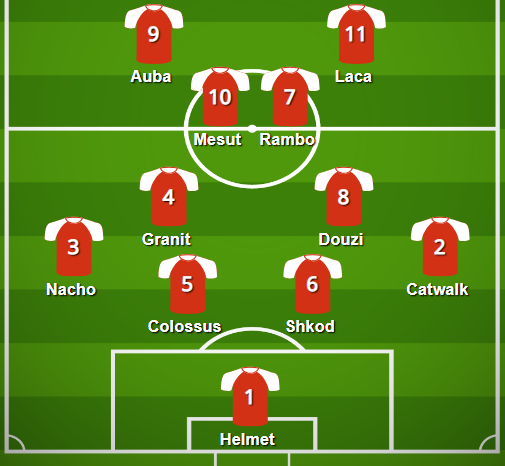 Should be first one on team sheet from now on. A real DM, it has been so long.